"It’s certainly a loss for the island that we’ve closed down the seminary but as far as the Neocatechumenal Way is concerned, it’s helped hundreds on the island such as myself," said Peter "Sonny" Ada, who has been walking with the Neocatechumenal Way for more than 10 years. "The Neocatechumenal Way is a charism. It’s a help from the mother church in Rome that's here to help communities around the world. In Guam, we’re very fortunate to have it and I really hope the Holy Spirit will guide the archbishop and those involved in continuing to see the Neocatechumenal Way flourish in Guam," said Ada, president of Ada's Trust and Investment Inc.
"Some people can go to the gym and lose weight. Some need a coach. Same thing spiritually. Some can go to the church, some can do the rosaries, but some need a coach and the Neocatechumenal Way helps me in my faith walk," Ada said. 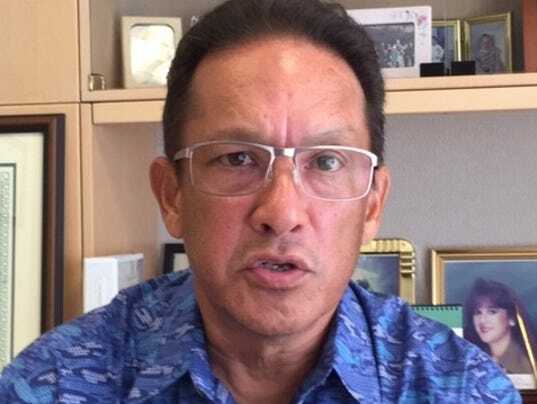 "Other than the fact that he walks in the community and the fact that he introduced Neocatechumenal Way and the Redemptoris Mater Seminary to Guam, there's really no connection, but we pray for him. As of today, he’s really an innocent man of anything. If he’s found guilty, then let the law take it where it's supposed to go," Ada said. "There’s a lot of suffering, a lot of abuses on the island, a lot of divorces," Ada said. "And I think that having the word of God can help people through their suffering and so it’s my hope that the archdiocese will continue to allow the Neocatechumenal Way to continue to grow here because it’s only going to help the people." I really do sympathize with Mr. Ada. In fact, I can demonstrate that I said very much the same thing ten years ago in a post I did on my TheMassNeverEnds.com blog in my post of April 2008: Honest Thoughts on the Neocatechumenal Way (a post which to this day continues to be one of the most popular posts on that blog). In that post, I sang the praises of the NCW for doing what our then-Archbishop should have been doing: leading the faithful to a deeper relationship with Christ. The problem was that our then-Archbishop was doing exactly the opposite. And to cover for his crimes, he did what many clerical-derelicts like him do: insert a turn-key program like the NCW into a parish or a diocese to do what the bishop or the pastor should have been doing all along, but was too damn lazy or corrupt to do it. The fact is this: The One, Holy, Catholic, and Apostolic Church does NOT need any freaking movement, program, or "ecclesial reality." It only needs Jesus Christ, His Church, His Sacraments, and Holy Priests. This was Christ's plan. It was what he was pierced through for. It is what he gave every last drop of blood and water from his tortured body for. It was what he gave his life for. IT IS WHAT HE WAS MADE MAN FOR. The fact that Rome "okays" stuff like the NCW is an admission by those, who are ordained in the apostles' stead, that they are too cowardly and lazy to "go and teach all nations," as Christ commanded them to do. So they gladly "ordain" fake opportunists like Kiko Arguello to do it for them while they go to brunch. But beyond that. The NCW is a "jewish-protestant" heresy. Mr. Ada can be forgiven for not knowing this because, like so many of today's Catholics, thanks to the cowards, he wouldn't know the difference between the True Church and a heresy.